Showing just how much of a dog lover she is, British actress, best known for her role in ITV’s soap opera Emmerdale, Adele Silva and DogsBlog.com ambassador is giving her support to National Dog Adoption Month. Dogs, such as Lucy, photographed below, are currently in rescues waiting for a new home. 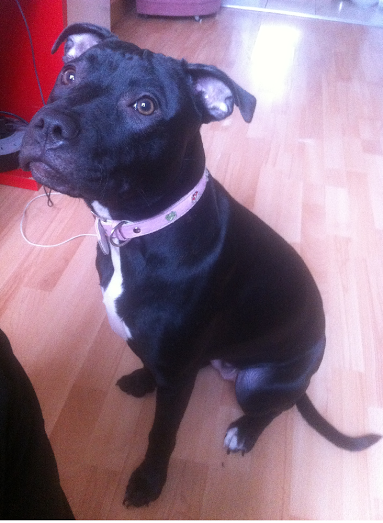 Click on her photo to take you to her page and find out all about this wonderful 6 month old girl. DogsBlog.com says…bring joy, adopt a dog! Esther Makes An Impression In The BBC Radio Three Counties Studio!